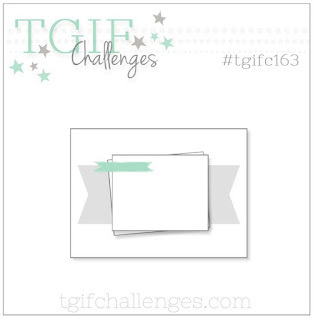 Hello everybody and welcome back for another fabulous TGIF Challenge! I'm sad to say that this will be my last week with the TGIF Design Team. If you follow my blog then you know that I've resigned from Stampin' Up! so that I can expand my creativity and use products from all of the amazing stamp and craft companies out there. TGIF is a team that is made of SU Demos. As I am no longer a demo I am stepping down from the design team. I am excited for my new crafty adventures but this design team holds a special place in my heart as all of the members are really wonderful human beings. I will miss creating alongside them. This week we've got an awesome Sketch Challenge for you! 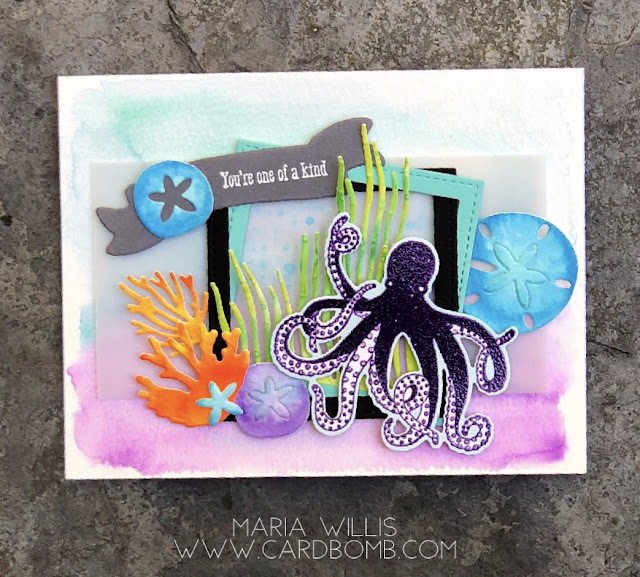 Here's my take on it using a new stamp set from SU's new catalog. 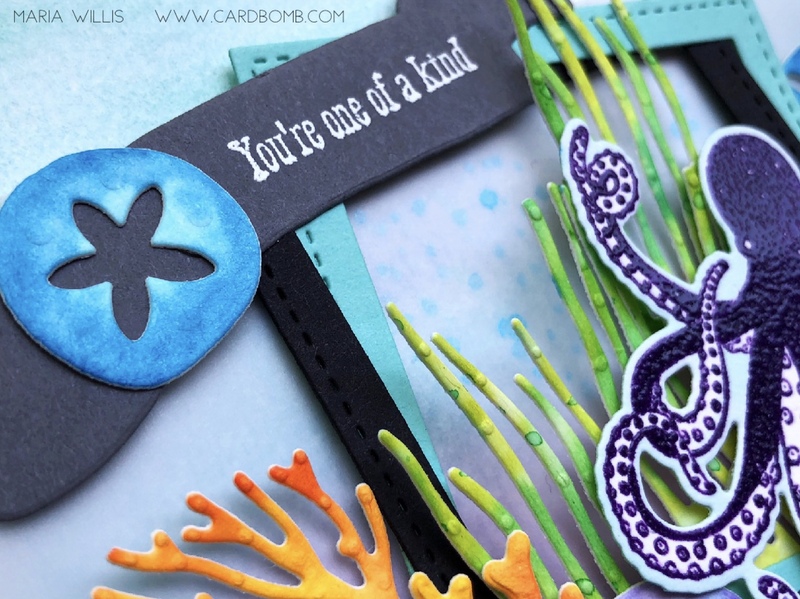 The set is called Sea of Textures and has a matching set of dies that is pretty epic! I started out by watercoloring my background and a bunch of extra pieces of paper to cut my shells and coral from. Then I layered a piece of vellum over the background and started arranging my pieces. Here you can see close up of the gorgeous die cut pieces. The sand dollar is really cool bc you can pop the center out or leave it in. 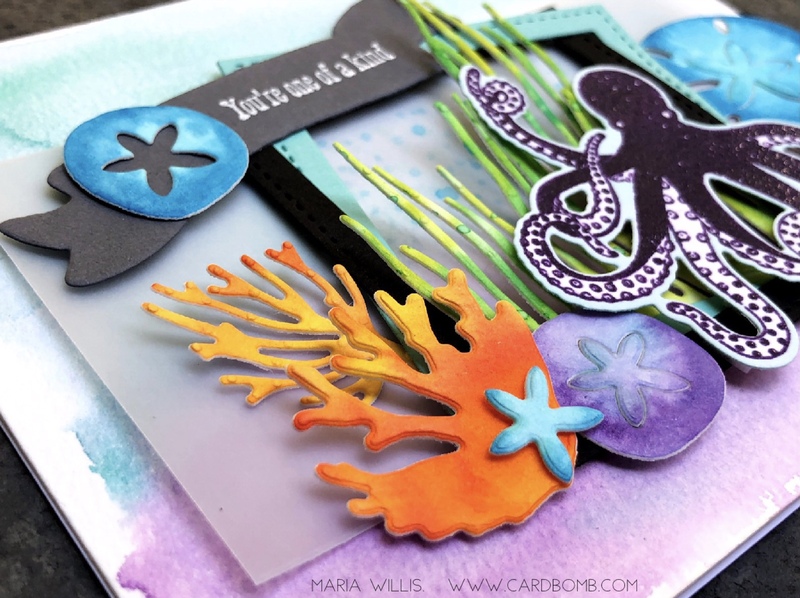 The sentiment is heat embossed in white embossing powder and I added a blue sea star to the banner to anchor it to the design. If you look closely, you can see that behind the seagrass I added some blue dots for detail with an alcohol marker. 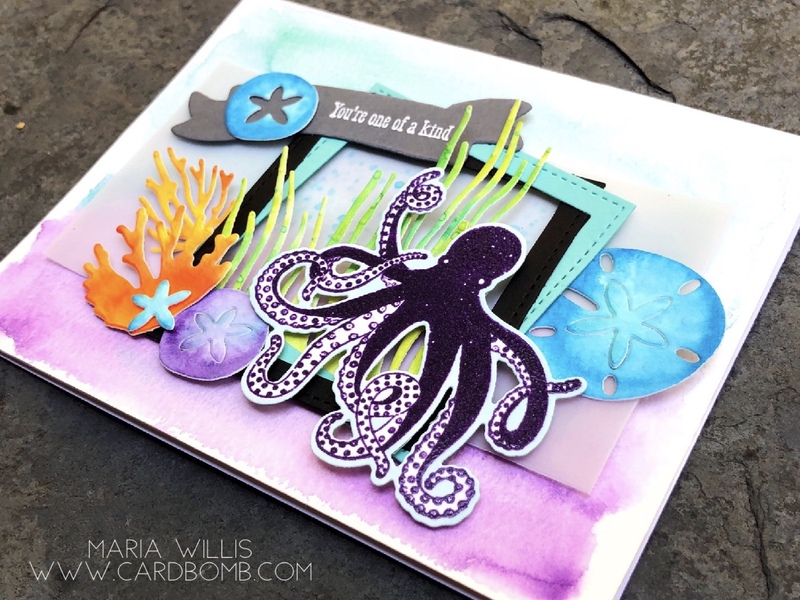 The octopus is stamped in Gorgeous Grape ink and heat embossed in clear. He's such a cool looking guy and I like that it looks like he is walking across the sea floor. That's it for today you guys! If you'd like to see what the rest of the Design Team has done with this sketch then head on over to the TGIF Challenge Blog! Here's a graphic of the sketch for you to check out. If you've got a great idea on how to interpret it then please play along with us this week! Bye guys! I'll be back with another fun post in the next day or so. I’m sad to be leaving too Tami! I’m so grateful for the friendships I’ve made and so glad I’ve gotten to know you. XO my friend! Great card, as always. I look forward to seeing your cards and projects. I'm sorry to see you leave SU, but hope your creative future is nothing short of awesome. I know it will be. Will eat watch your blog!! Be blessed always! Thank you so much Denise! I really appreciate your kind words! Maria, that card is absolutely fabulous. All those gorgeous colors and they look like they actually belong. I love the color on color for the sea ferns. Thank you Lynn! As soon as I decided to use this set I knew I’d be doing rediculous layers of watercolor with wild colors. I’m so glad you like it! wow !!! beautiful and so lovely card:) i really like your good idea so much.Thank for sharing. Moon Men- You're Outta This World!